In the scenic mountain ranges of Rjukan in Norway, tourists can go and see the evidence of work on using hydrogen as a fuel source. This location contains waterfalls that were harnessed for hydroelectric power in the 1920s. The energy generated from this plant would be used to split water into hydrogen and water using electricity through a process known as electrolysis, in an adjoining factory. Many researchers in Norway still think this is the way of the future, and that hydrogen can power any modern concern, from housing to industry. Norway, along with Japan and Germany, are examples of countries with groups considering the switch from traditional fossil fuel power to hydrogen. Hydrogen is known to be able to power concept cars and other vehicles with no emissions other than water, which will be left behind on the roads. However, Norwegian advances in research may soon translate into heavy freight and industrial vehicles also being powered by hydrogen. This is part of a national initiative to rid Norway of emissions-related transport completely in the near future. Other researchers at the prominent energy-development group SINTEF, an institute associated with the Norwegian University of Science and Technology, have proposed that at least some of Norway’s rail and ferry services can also run on hydrogen. Some people in this country see hydrogen-powered transport as a positive outcome that avoids pollution in areas of natural beauty that are popular tourist attractions. These vehicles would be powered by fuel cells that run on this substance. Some fuel cells are already available to some specific buyers: for example, the first fuel cell-powered train in Germany is currently undergoing testing for general use. On the other hand, hydrogen fuel cell sales are still restricted to niche concerns and buyers. They are also only remotely popular in certain countries, such as the United States or Japan. For example, they can also power home heating and appliances, but there are only around 150,000 cells active in Japan today. Despite this, Japanese interest in hydrogen as a power source is growing. The country is traditionally dependent on fossil fuel imports to both power and transport a nation of hundreds of millions. This is worrying, and not merely from an emissions or environmental standpoint. Therefore, as hydrogen fuel becomes more widely available, Japan may well switch their consumption patterns to incorporate more of this fuel. Japan and Australia have already begun arrangements to trade in hydrogen starting in the next decade. In addition, many car manufacturers in Japan, along with those of Korea, are heavily focused on developing vehicles powered by alternate fuels. Hydrogen also has the advantage of taking the end-product form of energy generated from solar farms. This can be as a result of water electrolysis, or that of a light-harvesting process called artificial photosynthesis, in which light powers molecules that can also refine hydrogen from water. This may have many advantages over storing the energy in batteries. Batteries are heavier, harder to transport, and may fail over time, making them less efficient. In addition, batteries require many raw materials that may involve environmental disruption and degradation to produce, making hydrogen a potentially greener alternative when harvesting solar energy. Hydrogen can also be produced as a result of wind energy, which is also rendered less efficient than it could be by the need for inefficient battery storage. Hydrogen can also be used indirectly as fuel for propulsion and flight in spacecraft. In this case, it can be converted to plasma, a state of matter that gives a huge amount of energy, mostly in the form of heat. Some researchers claim that plasma derived from air or hydrogen can deliver vertical flight with greater efficiency than traditional fuel-burning jet engines. Again, carrying hydrogen as fuel may help manage many problems faced by next-generation space flight. Hydrogen, a lighter material than both batteries and other common liquid fuels, may be more amenable to transport as an on-board power solution. Additionally, future spaceships could also simply carry water, split it into hydrogen and oxygen using solar power, then convert the hydrogen into plasma at need. This has not yet been realised through the medium of research and development, but illustrates the potential of hydrogen as a futuristic fuel. Traditional fossil fuels could soon be a thing of the past. Even in the absence of this argument, the needs of many national authorities to significantly reduce emissions may render them closer to obsolescence over time. Alternative, zero-emission fuels may seem more desirable in the near future. 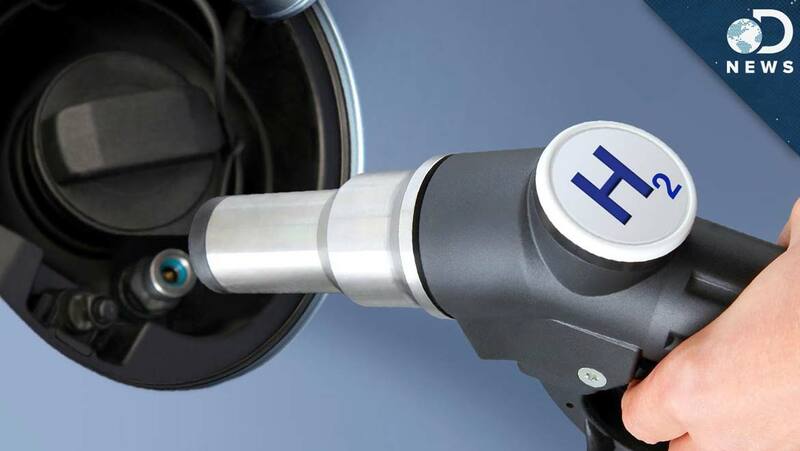 Hydrogen is a type of fuel that generates energy with end-products such as pure water. Hydrogen also represents a considerable benefit for new-generation road freight vehicles. These trucks could use batteries, like some electric cars do now. However, the batteries needed may need to take up space and weight to an extent that would cut into the cargo volumes these new trucks could carry. Hydrogen could also prove a sustainable, efficient link between renewable energy types and stationary power needs such as residential heating or automation. It would do this by storing the energy gathered from sources such as the wind or sun and then fuelling cells that generate energy for the home. SINTEF have already won a number of research and development contracts and funding opportunities across Europe to investigate the power of hydrogen fuel and its applications in transport, industry and community electricity needs. Their findings may direct the power sources of the future and their deployment.